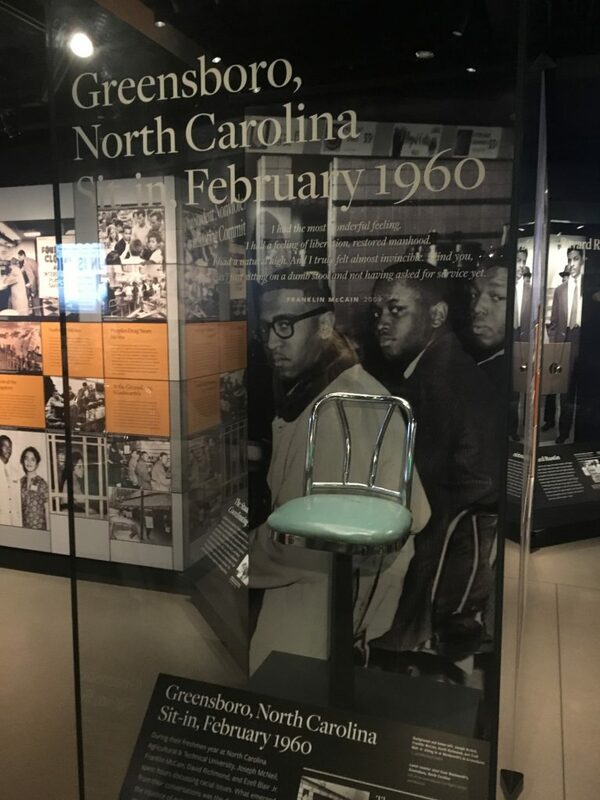 The Civil Rights Trail combines sites that have been significant in the battle for Civil Rights, especially the 1950s and 1960s. Launched in January, 2018, the Trail includes over 100 sites in 14 states. Given the incredible popular success of the National Museum of African-American History and Culture and the fact that Civil Rights tourism is a growth sector, the identification and interpretation of such sites promises to be an economic boon to communities where these resources are located. The National Civil Rights Trail includes over 100 sites in 14 states, but none in Texas. Address this, and we could tap into a $63bn industry. 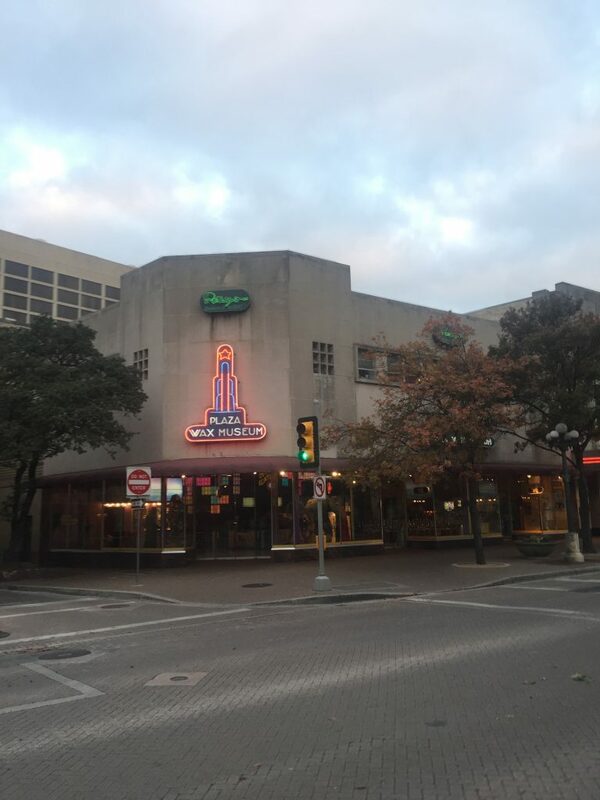 In San Antonio, we have the story of the first voluntary and peaceful integration of a Woolworth’s lunch counter on March 16, 1960, a story that Jackie Robinson said “should be told around the world.” He was quoted in the New York Times on March 20, 1960, but the story did not have the “legs” of the more confrontational protests in other cities. In addition to Woolworth’s the sites of the Kress, H.L. Green and Neisner’s stores also survive, sans lunch counters. The beginnings of a Civil Rights trail are right in front of us, although the concern is that at least two of the four could disappear soon. Thanks to local landscape architect and historian Everett Fly, more overlooked sites in San Antonio are now being uncovered. 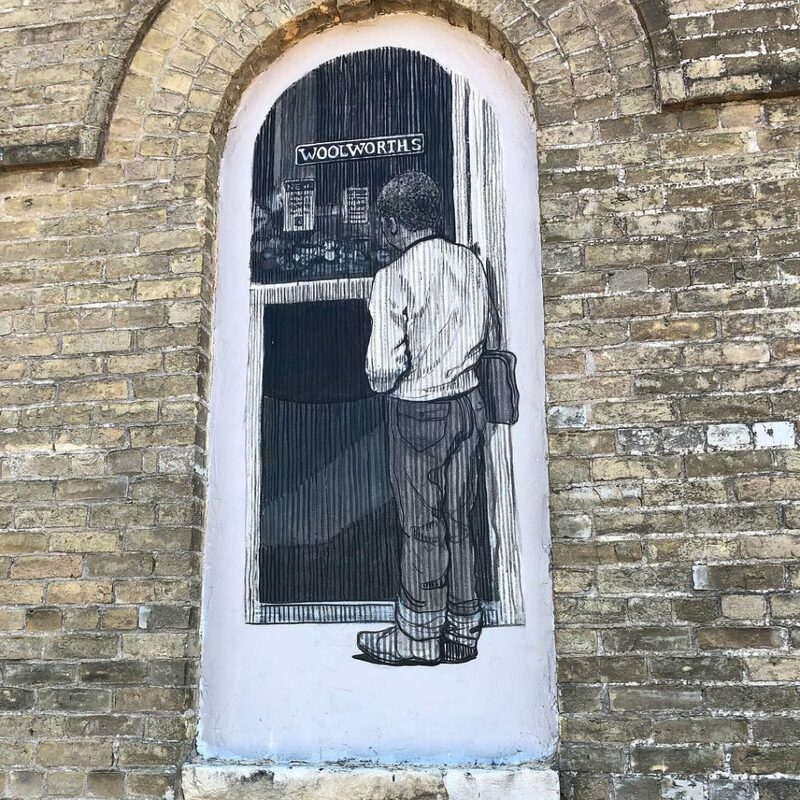 You could see markers for the Rincon School near the River Walk, but Fly’s work has really illuminated the importance of downtown – notably Alamo Plaza, in a struggle for equal rights that goes back to the early 1880s. 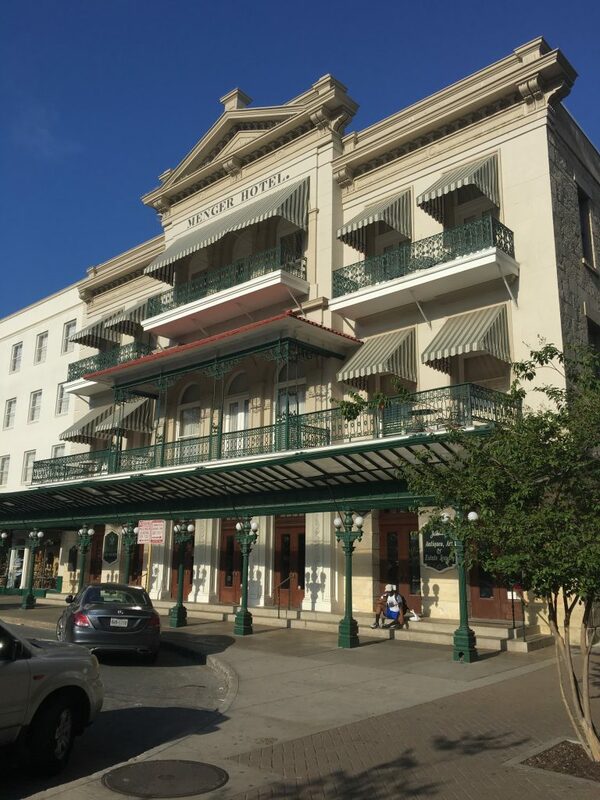 African American barbers plied their trade at the Menger Hotel, and an African American owned a cleaning shop at the rear. Across the street, Joske’s Store was built on the site of an 1860s slave market. 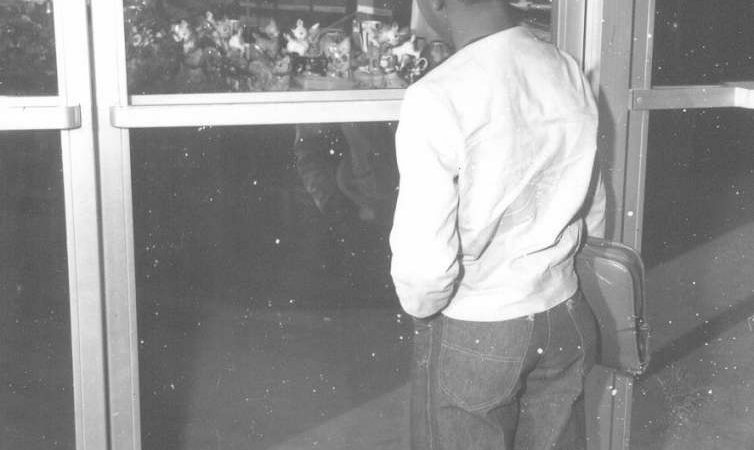 In 1960, Joske’s resisted integration as seven other downtown stores adopted equal serving policies. This was H.L. 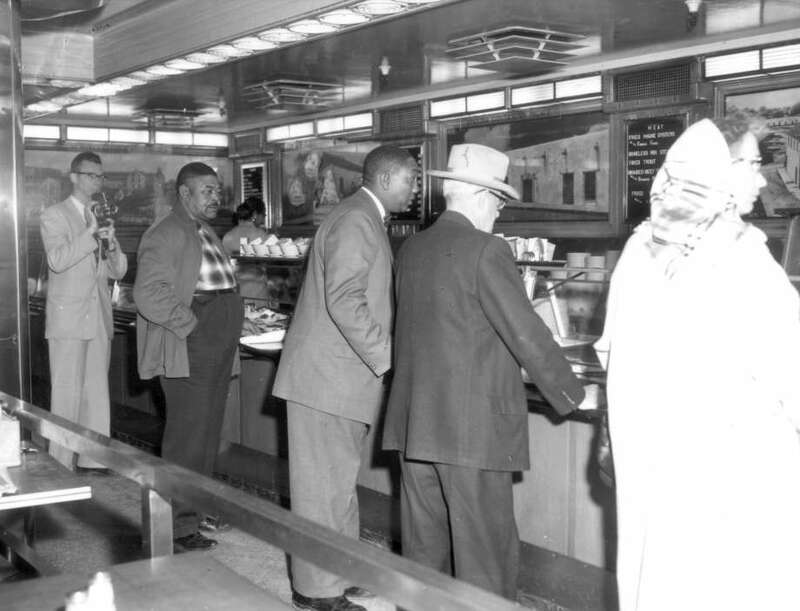 Green’s, another lunch counter that integrated that day. 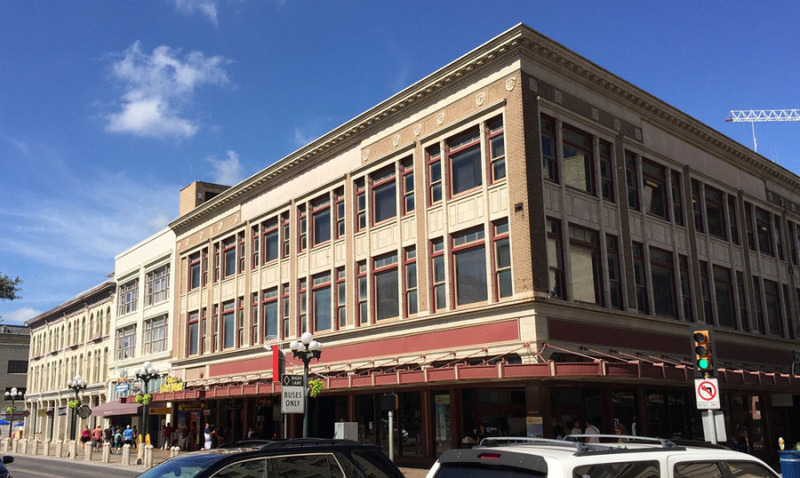 It is a block south of Woolworth’s and across from the Menger. The challenge now is to bundle these sites – and many more, into a package that can attract tourist investment. In San Antonio we already have the largest Martin Luther King Day march, active contingents of Buffalo Soldier interpreters, and Everett Fly’s impressive research into African American cemeteries. The opportunity is there. The question is: Do we embrace it? 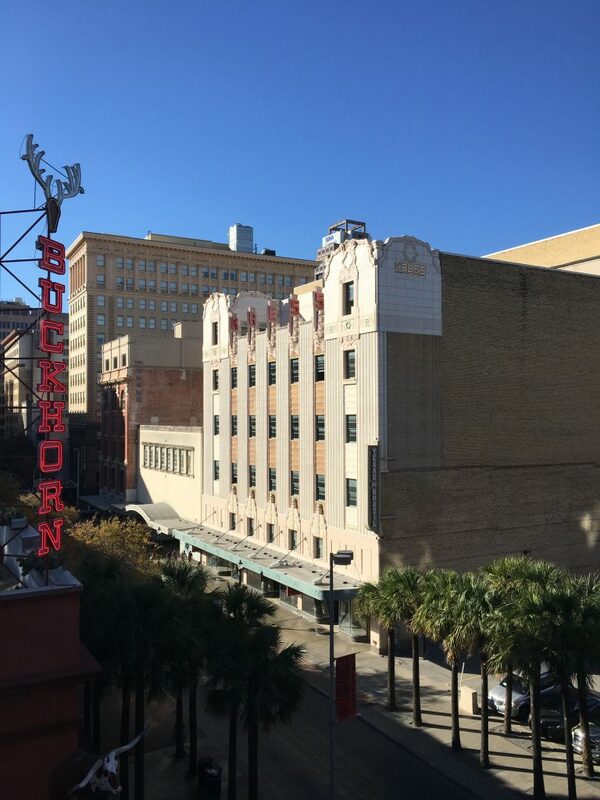 San Antonio Woolworth Building, built 1921. 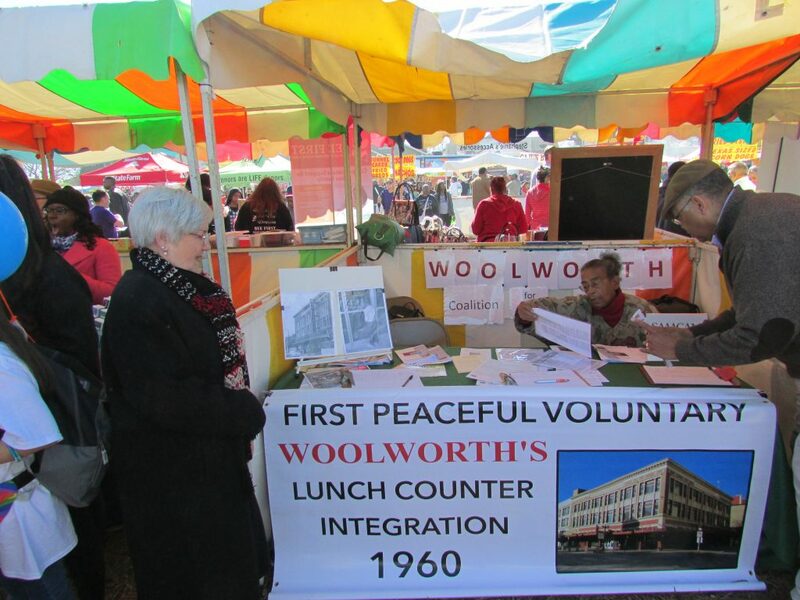 The first voluntary, peaceful integration of a Woolworth’s lunch counter happened here March 16, 1960. 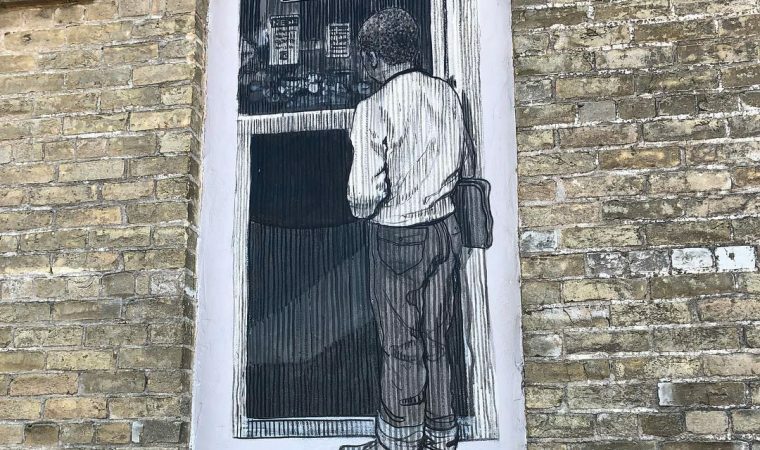 San Antonio has a unique history in the Civil Rights movement, but it is not known because it is characterized not by conflict, but by its absence. The tradition continues to this day with the nation’s largest Martin Luther King Day March. Approximately 300,000 participants annually. They even saw our sign in Hawaii!!! 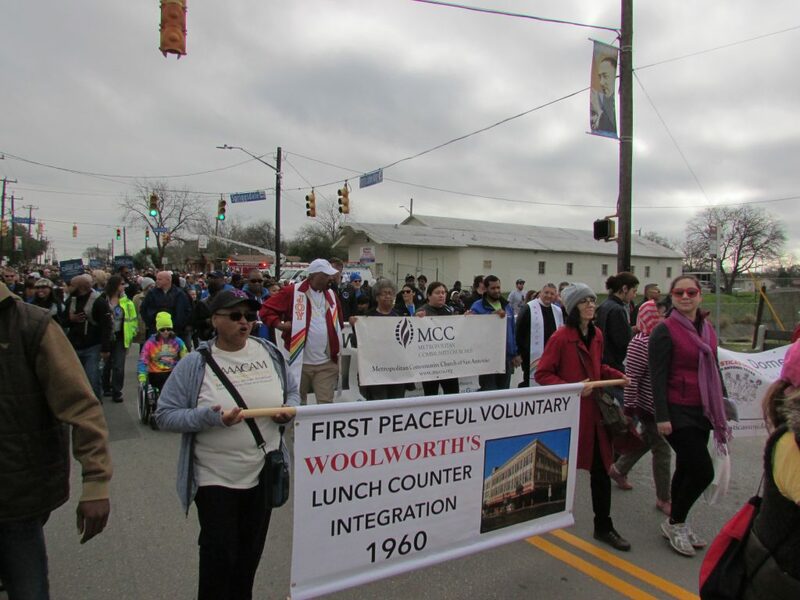 This year, a new Coalition for the Woolworth Building participated in the march and had an information booth in the park afterwards. 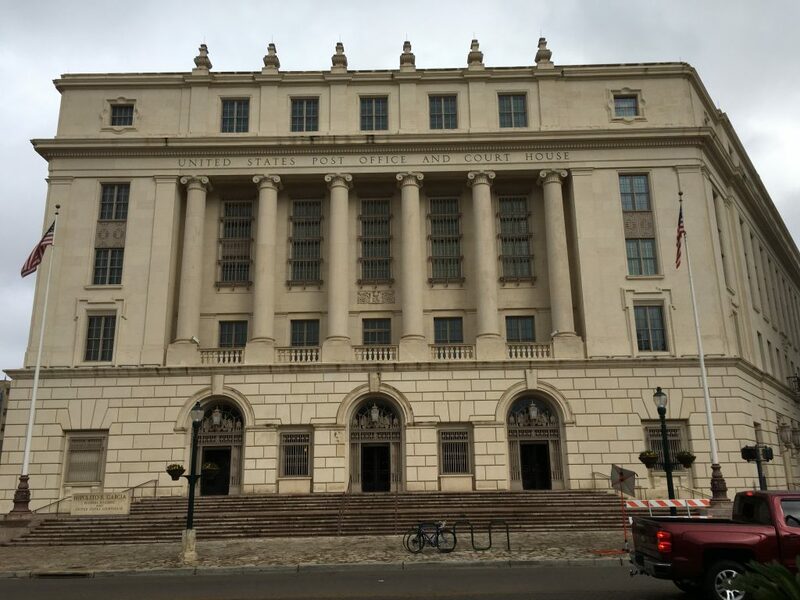 The Conservation Society is a member along with the San Antonio African American Community Archive and Museum and Esperanza Peace and Justice Center, among others. As the banner notes, what happened in San Antonio in 1960 was different. 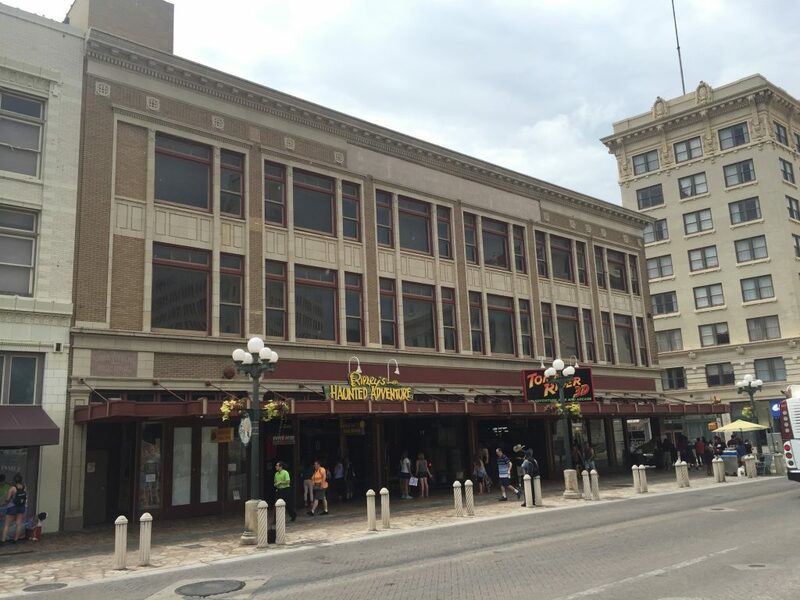 The most prominent corner in San Antonio – the intersection of Alamo and Houston Streets. February 1, 1960 – four students stage a sit-in at a segregated Woolworth’s lunch counter in Greensboro, North Carolina. Protests and violent reactions pepper the nation in the following weeks. March, 1960 – OLLU student and NAACP member Mary Andrews sends letters to downtown lunch counters requesting equal service. NAACP holds rally Sunday March 13 and asks for desegregation by Thursday March 17. 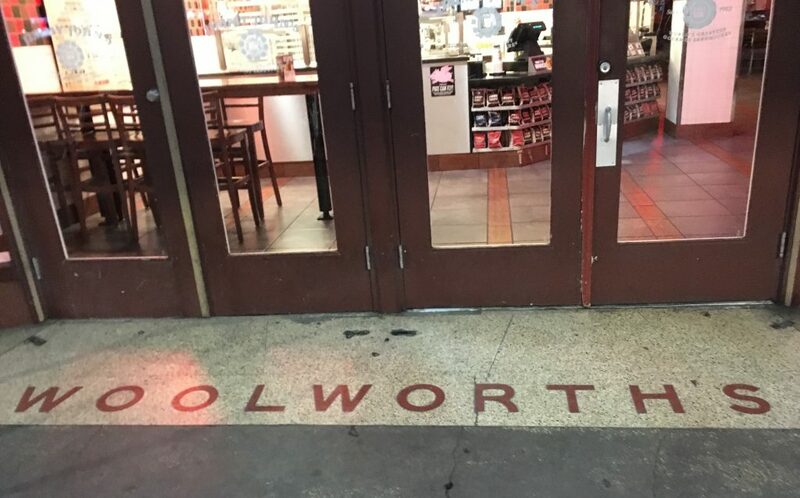 On Tuesday, March 15 civic, religious and business leaders meet and agree to desegregate Woolworth’s and six other lunch counters. Integration at Woolworth’s, March 16, 1960. Courtesy UTSA Special Collections. There were places – Corpus Christi, Oklahoma City, that integrated their ,lunch counters earlier, but only following protests and confict. 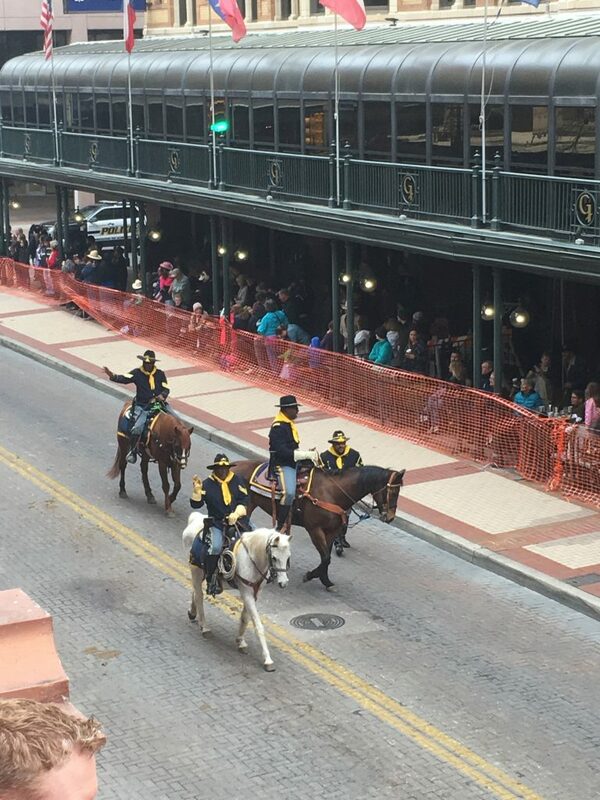 San Antonio proceeded differently. Susan Beavin and Nettie Hinton of the Coalition for the Woolworth Building, 2019. Woolworth’s location gave it special significance. Nettie Hinton recalls buying the “big donuts” at Woolworth’s prior to catching the bus to the African-American East Side. 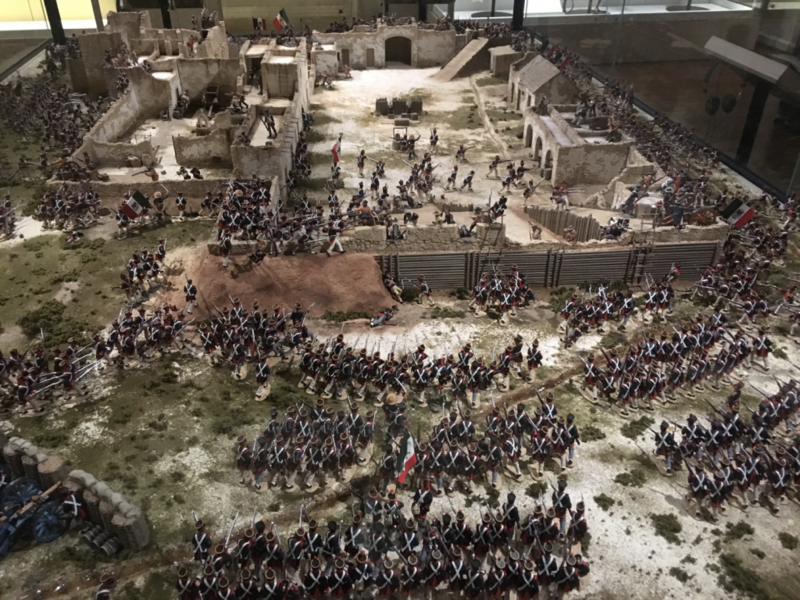 Indeed, the corner of Alamo and Houston was where the cultures of San Antonio met and separated – Hispanics to the west, African Americans to the east, and Anglos to the north. The story is not well known, despite Jackie Robinson and the front page of the New York Times because there was no violence. The old news media saying “If it bleeds, it leads” could find no purchase in the soil of San Antonio, so the story was not “told around the world” as Robinson pleaded. Although it could be still! In fact, Civil Rights sites are one of the few growth areas in tourism, as reported recently. 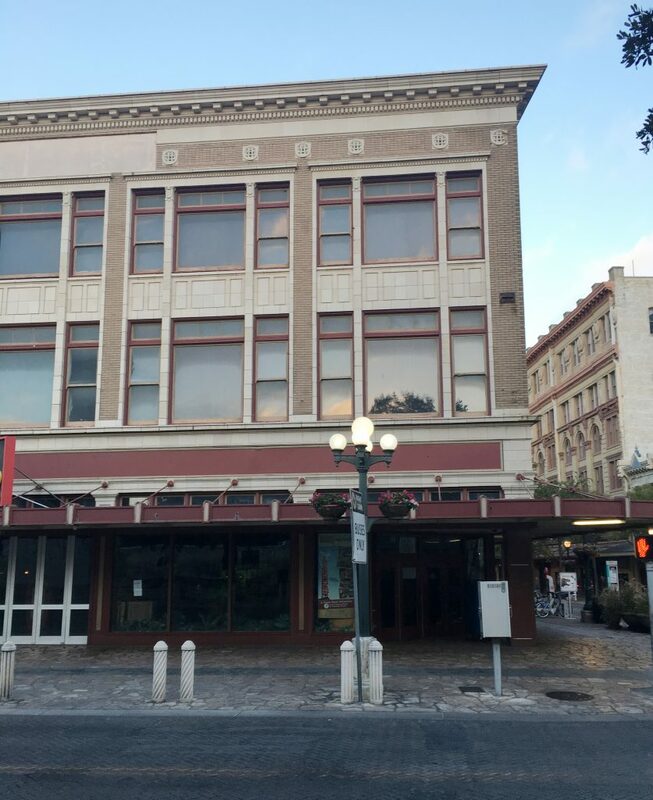 This Civil Rights site is an opportunity for San Antonio. Now, the threat to the Woolworth’s Building since 2015 has been that it sits atop the site of the west wall of the Alamo compound, potentially the site of Travis’ quarters during the epochal 1836 battle. See the area to the left where the soldiers are swarming in? That is under the building below. This is on top of the site of the north wall, where Travis fell and where Santa Ana broke through. A more significant location, but apparently is wasn’t for sale. 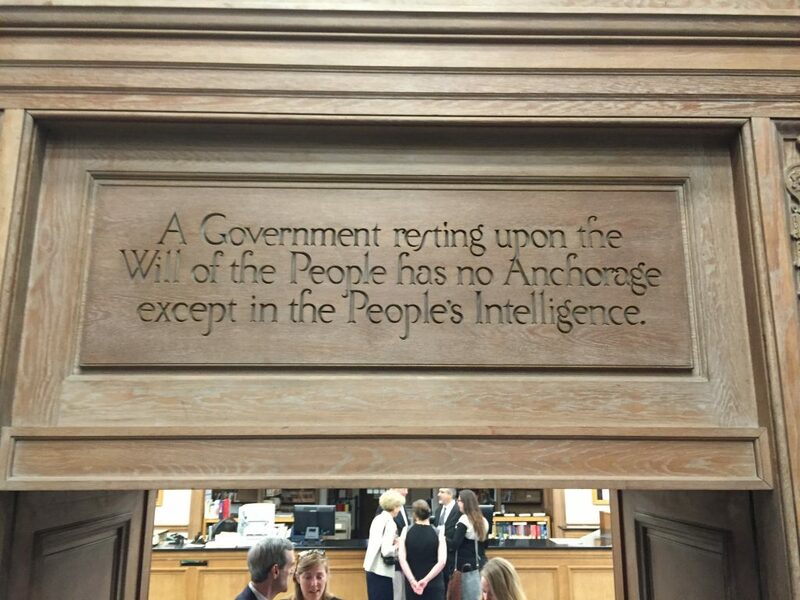 The same is true of the western wall and Travis’ quarters. Nothing left of them. The buildings there have basements, so it’s all gone. No remnant. So which do you interpret? Both, obviously. And you have tons of room inside the Woolworth Building to do that. See my 2018 blog on the Woolworth Building here. Also, check the Conservation Society website for updates!